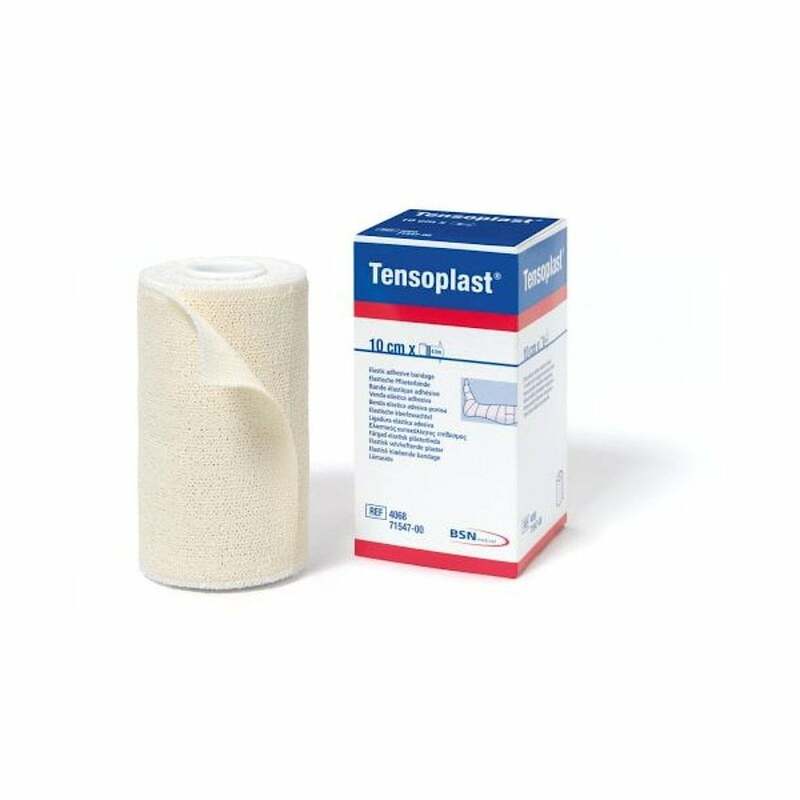 Tensoplast - Elastoplast Tape 10cm x 2.5m This tape is an elastic adhesive bandage with dual function. Great to have to hand if you need to strap a joint and excellent for preventing and treating blisters, rubbing and chafing. This extra wide (10cm) version can be particularly useful for preventing rubbing from a backpack around the waist, on shoulders or on the back. Plastic backing - only take what you need! Also check the 6cm wide version (mandatory equipment for UTMB) which we have included in our Deluxe Footcare Kit. Perfect for strapping a joint, for blisters and chafing, just in case of emergency!